Des is honestly the best instructor I could have asked for. He's patient and kind, and he was able to help change my mindset into one that help me pass. Would undoubtedly recommend him to anyone. 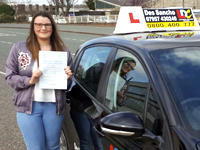 Des is a first-class driving instructor! 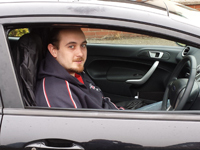 Learning to drive is obviously a huge commitment in terms of time and money, but Des makes it absolutely worthwhile. He’s incredibly patient, relaxed, and his approachable and friendly demeanor made learning an absolute blast. I really looked forward to my lessons each week which is so important to motivate you to pass. Des is very good at instilling confidence in you very quickly, and his teaching style is very structured - you constantly feel you’re making progress and know exactly what you need to work on. All in all, I thoroughly enjoyed learning with Des and would recommend him unreservedly to anyone. I am so happy I chose Des as my driving instructor, he is so patient and calm and you will always have a laugh with him in the car! 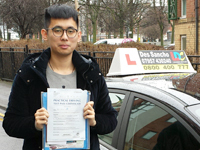 Des improved by confidence with driving dramatically and I fully recommend him to anyone who is wanting to drive, thank you Des for all your help! 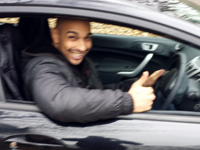 Des is a brilliant driving instructor, he's very patient and makes you feel relaxed. You can always have a laugh and a joke with Des, he makes every lesson enjoyable. 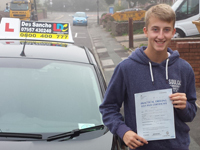 Des is a great teacher and helped build my confidence to pass my test, I would recommend him to anyone. Thank you again Des I couldn't have asked for a better instructor. 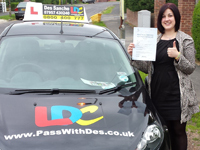 Des is a really great driving instructor which made me feel relaxed throughout my lessons and test. 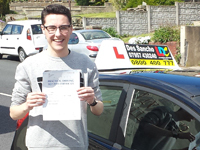 He was very patient and helpful when I had any problems and most importantly made learning to drive easier and more fun. I would definitely recommend him to anyone, thanks a lot for everything. 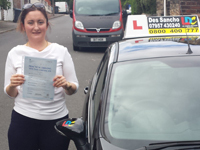 Des is a patient and resourceful driving instructor. I am sure he has lots of ways to equip you with all the essential skills needed to pass the test. I can guarantee you that there is a high possibility you can pass on your first attempt. Des is extremely good at what he does. He is patient, relaxed and tells you everything you need to know and then some. Lessons with Des are in such a relaxed atmosphere because he can easily take the pressure out of situations and you can even have a laugh. Would definitely recommend Des to anybody wanting to pass. Des is very patient and gives you confidence when your driving. His relaxed personality makes you feel like you can ask him anything no matter how silly it may sound. 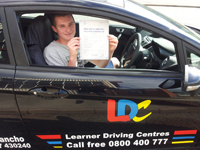 3 months after starting my lessons here I am with a full driving licence having passed first time all thanks to Des. 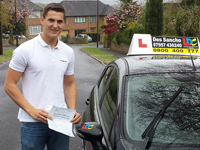 I cant recommend him enough, if you want to pass your test go with Des. 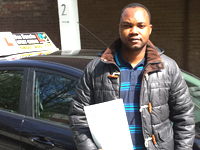 I had a great experience learning to drive with Des, he is a very patient and through instructor. 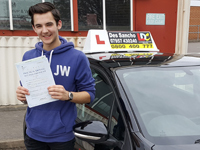 Whether you are on your first lesson or trying to improve your existing driving skills, Des will get you through the process without fail, literally. 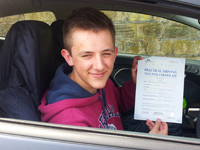 I passed my theory and practical tests on first attempts and also had a great time whilst learning. Thank you Des. 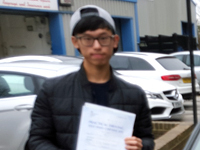 If you REALLY want to pass first time, just sign up with Des. Don't waste money on hit-and-miss driving instructors. 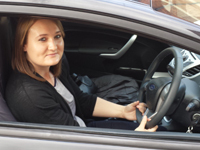 Before I met Des, I had attempted the practical driving test and failed, TWICE, with the same instructor. Believe me, I wasn't a bad driver as I had 4 years international driving experience (with no accident history) before the previous driving test attempts. I forgo driving for a year before I resumed with Des. Granted, some examiners could be picky but Des prepared me for the worst case scenario. He fine-tuned my driving skills within 20 hours of lessons. Guess what! I didn't just pass my driving test with Des first time, I Passed with ZERO Fault. Yes, a clean sheet. I wish I had someone recommend Des to me long before I took my tests, I would have saved some £600. DES, is the BEST INSTRUCTOR you could ever have. 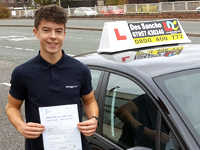 If you want to make your driving experience an enjoyable one and pass your test within the shortest time possible, don't look around. Des is who you need. 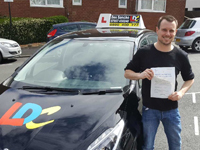 Des is the most patient instructor you will ever know, he cleverly makes you feel relaxed by talking to you and telling you funny stories so learning to drive becomes easier. 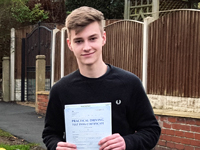 I was lucky enough to pass first time and it was down to Des's knowledge and experience as a safe driving instructor that I was able to do this. His approachable and friendly attitude makes you feel you can ask him anything, even if it seems silly. Des is everything you would want for a driving instructor and I would personally recommend him to anyone. Thank you for everything and making learning to drive enjoyable. 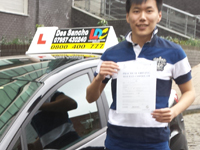 Des is a really good instructor who help me to get the license in a short time. He is very patient when I am learning how to drive. He taught me step by step to make sure that I understood everything before moving to the next stage. He is strict when doing the mock test, but this make me feel easier when I have a real test. And Des not only taught me how to drive but also how to be confident. I couldn't find a better instructor than Des. 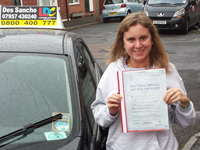 I have found driving to be a great experience mainly because of having Des as an instructor. He provided all the skills I needed to learn in order to pass the test first time following my sisters footsteps. I coundn't have asked for a better instructor than Des, who was patient, helpful and willing to go out of his way to teach you in the best way possible. Thank you for everything, you made driving very enjoyable and I wish you all the best for the future. 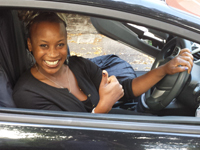 Des is an unbelievable instructor who helped me improve my driving skills until i pass the road testing. 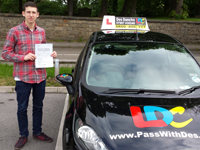 It was amazing which he helped me passed in my first testing and only used 24 hours for lessons. He is a wisdom, humor and patient gentleman.The most important thing is that he taught me how to relax and self-confidence building. Now I just wanna say thank U to Des! Des made me feel comfortable and relaxed as from the very first lesson. He's patient, kind, humorous and a brilliant instructor. Having failed the test three times before hand, my confidence was at an all time low but he managed to build it back up again within a few days! I will never forget the day before my test he played the 'Yoda' card, saying I must not let the darkside( i.e negativity) take over. I remembered this when I got in the car on my own and passed! 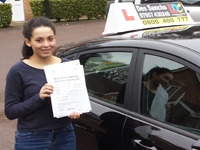 If you're considering learning to drive look no further, Des is the best! Thank you for everything Des, take care. 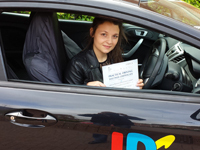 Passed first time with Des!! It's been a pleasure to have a genuine and relaxed instructor. Made me feel at ease whilst I was driving and had faith in me throughout which made me push myself even harder to pass! 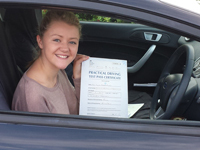 Loved every minute learning and now it is my turn to take to the roads on my own! Thank you so much, wouldn't have done it without such a good instructor. Would recommend Des to anyone wishing to learn! Des is a great teacher who is very friendly with lots of patience. Thanks for everything. Just want to say enough respect to Des as this guy is really good. 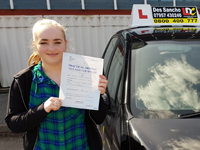 When it comes to teaching you to drive as I was introduced through my sister I passed both theory and practical test 1st time with Des. So if you want a challenge beat the quickest pass time held by me at 27 1/2 hours. 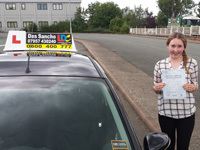 Thank you so much Des for the time you took to teach me to pass my driving test. Would not have done it without you, really going to miss our little chats also could not have asked for a better person to take lessons with. Thanks again Des. Des is a great instructor without his help and support I woudn't have had the confidence to take my test. You couldn't ask for a better teacher. Thanks for being a brilliant instructor. You were very patient with me and made things very comfortable. I would definitely pass your number on anyone would be in safe hands. Thanks again. Thanks for making learning to drive so enjoyable. Being really patient and easy to talk too made learning really easy to pick up and understand. I will definitely recommend you to anyone wanting to learn! Thanks again Des, take care. To all my future pass candidates. I have a few words of wisdom for you from someone who knows. DONT argue with this man, DONT stress when learning with this man, JUST take your time and listen to the man........ As he knows what he's talking about. I too was in a rush and couldnt wait to get my green pass sticker and fought Des on many occasions lol. As soon as i chilled, relaxed and listened to Des i got what i always wanted, TO PASS. So good luck and see you on the road, driving safely and feeling good!! lol. Thanks for everything you are a brilliant instructor. Takes the job seriously as well as being able to have a laugh and a joke while learning. Thanks once again. Brilliant instructor thank you for everything. Really enjoyed learning with you. Thanks a lot . Thank you so much for teaching me to drive. You are such a great teacher, really patient and understanding and easy going. I will certainly be recommending you to everyone i know. Thanks again. Take care love Gill. Thanks des for everything you were great. 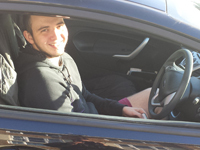 Throughly enjoyed learning to drive with you made things very easy to understand.. Will certainly pass your number on. Thanks Adrain.